Steamboat Resort announced Monday that skiers will be able to access ski runs from Thunderhead down when the slopes open for the 2018-19 season Wednesday. By Friday, the resort is hoping to have top-to-bottom skiing available. Opening Day events include a snow dance from the Northern Ute Indian Tribe, a presentation and $50,000 donation to Steamboat Springs Winter Sports Club and complimentary Korbel mimosas and donuts. The first 100 skiers and riders will receive free Ohana T-shirts.Visit steamboat.com for up-to-date information on terrain, snow conditions and more. STEAMBOAT SPRINGS — Steamboat Resort will open Wednesday, Nov. 21 with access to 11 trails served by the gondola and Christie Peak Express. Heavenly Daze, Jess’ Cut-Off, Sitz, Sitz Back, Vogue, Stampede, Boulevard, Giggle Gulch, Yoo Hoo, Right of Way and Lil’ Rodeo, including the mini-pipe, will be accessible to skiers on Opening Day, offering up 60 acres of open terrain. Desperado and Buckaroo magic carpets will also be operating. 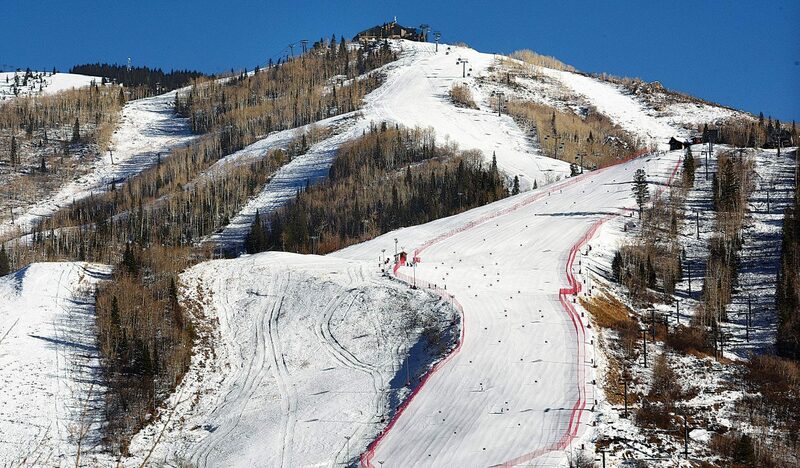 Opening Day events include a snow dance from the Northern Ute Indian Tribe, a presentation and $50,000 donation to Steamboat Springs Winter Sports Club and complimentary Korbel mimosas and donuts. The first 100 skiers and riders will receive free Ohana T-shirts. Visit steamboat.com for up-to-date information on terrain, snow conditions and more. Snowmakers and groomers are working to make snow on connecting trails on the upper mountain so that Storm Peak Express, Burgess Creek and Four Points lifts can open Friday and skiers can enjoy the mountain from top to bottom. These lifts will allow access to Rudi’s, Lightning, Ego, Tower, Arc, Park Lane, Upper Rainbow, Upper Buddy’s and Calf Roper. In total, 110 acres of terrain will be open Friday. It’s the most terrain open since Opening Day 2014 when the mountain had five lifts and 52 trails operating. “These are some of the best pre-season snowmaking conditions we’ve ever seen,” Dave Hunter, vice president of mountain operations for Steamboat Ski & Resort Corp., was quoted as saying in a news release. Hunter said snow machines fired up on Oct. 30, two days before the historic start of snowmaking. Cold, dry weather provided the “perfect recipe for snowmaking,” he added. Snowmaking crews were able to run snow guns more frequently this month, even making snow 24 hours a day for seven consecutive days. The resort fired up a record 139 snow guns on Wednesday, Nov. 7 and used between 99 and 125 guns at other points in the month. In a departure from tradition, the ski resort will not sell discounted lift tickets to benefit the Steamboat Springs Winter Sports Club on Scholarship Day. All season passes will be valid on Opening Day, and Ski Corp. will present a $50,000 donation to the Winter Sports Club scholarship program as part of the Opening Day celebration in the base area. Timber & Torch in Gondola Square will open for the first time Wednesday. The Taco Beast, a roaming taco shop on a snowcat, will make its mobile debut and will be stationed at the bottom of Heavenly Daze, serving tacos from 11 a.m. to 2 p.m. Wednesday, Nov. 21 through Sunday, Nov. 25. In order to ski and snowboard on the first day of the season, guests need to have their passes ready to scan. Ikon passholders who have not received their pass yet or have not been able to upload a photo must visit the Steamboat Ticket Office prior to skiing and riding to ensure access on the mountain.